Robert S. Katz | Ruskin Moscou Faltischek, P.C. Robert S. Katz serves as special counsel to Ruskin Moscou Faltischek in the Tax Certiorari Practice Group. Robert is dedicated to providing the expert level of professional services to our clients. Throughout his distinguished career, Robert has successfully represented investors in and owners of hotels, regional and specialty shopping centers and department stores, office buildings, and apartment complexes. He has handled tax certiorari matters for owners or managers of more than 15 million square feet of office space, 16 million square feet of regional malls and other retail facilities, 7,500 hotel rooms, and 250,000 residential units nationwide. 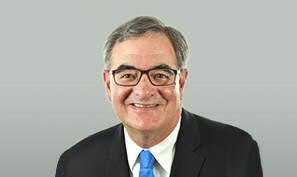 Robert is a member of the Board of Directors of the NYC Real Estate Tax Bar Association, a former member of the Tax Certiorari and Condemnation Committees for both the Association of the Bar of the City of New York and the New York Bar Association as well as the Town of Mamaroneck Revaluation Committee. He frequently guest lectures at accounting and trade group seminars across the U.S. Robert is a partner at Herman Katz Cangemi & Clyne, where he also practices tax certiorari law.